As I have said before, I love supporting local authors or at the very least, books set in my home state. Oregon isn’t exactly the most exciting state in the union so when I find books set here, I am always interested to read them and see how they measure up. That’s how I found Ellie Alexander. 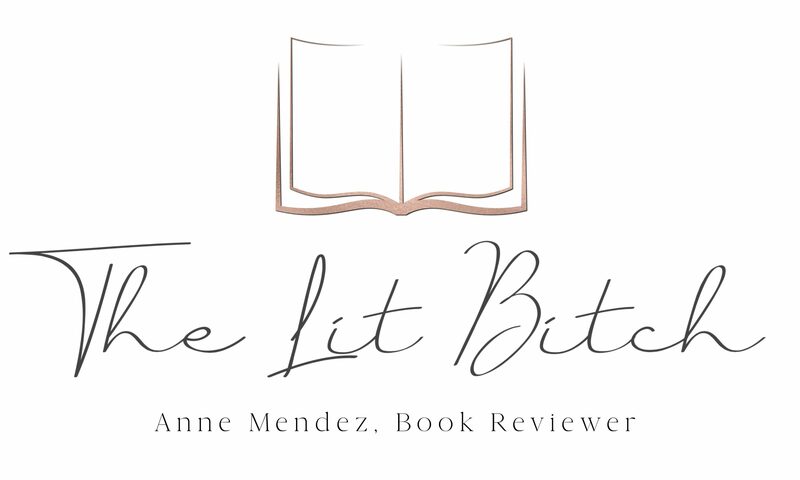 When one of Alexander’s book came up for review, I was eager to read it and I loved it! It was the first in a new series and was set in Leavenworth Washington. Ok so not exactly Oregon but close enough. Then I started reading her other more established series, Bakeshop Mysteries which are set in Ashland Oregon. 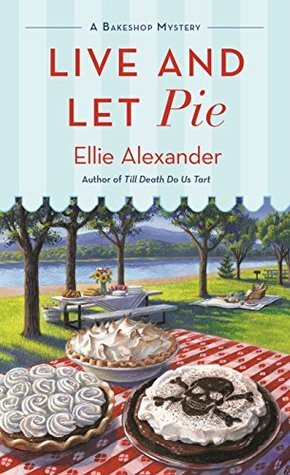 Now granted I have only read one book in the Bakeshop Mystery series, I thought it was a fun cozy read with great setting, plus I felt like I gained a million pounds reading about all the delicious foods! When this one came up for review, I thought it would be a fun, quick book to read on the airplane as I traveled to Arizona for the holidays. It turns out it was the perfect book to wrapped my year up with! The heat is on for pastry chef, family business operator, and unlikely sleuth Jules Capshaw. Just when she thought she could enjoy some time away from the kitchen, Jules manages to discover a skull during a picnic by the lake. As if unearthing remains that may be connected to a missing-persons case from the 1960s isn’t enough on her plate, Jules must contend with the unsolved matter of her own marriage while her estranged husband Carlos sails the open seas, awaiting a verdict. Then there’s Jules’s bitter landlord Edgar, who is intent on making a sweet deal on a vacant lot down the block from Torte—until he turns up dead. If only Jules could find a recipe that would let her bake her cake and eat it, too (summary from Goodreads). I saw that one reviewer called Ashland Oregon a ‘trendy’ little town. And I actually laughed out loud at my desk when I read that, because I wouldn’t exactly call Ashland ‘trendy’ but at the same time, Alexander makes it sound so cool and yes if I am being honest, very trendy! I love how Alexander portrays Ashland, I haven’t been to Ashland in years but all I remember it being is a thespian town with random little cute shops, and her fictional bakery, Torte, would fit right in. And because the town brings in a lot of tourists with the Shakespearean Festival and other attractions, Alexander has a lot of options when it comes to keeping her series a live and fresh! I know a lot of people have read this series from the beginning, I came into it late and jumped around in the series. While I have not felt lost in the series, it’s evident that the characters are established and have evolved from the early books. While I didn’t think it was necessary to read the books in order, as each book stands alone in it’s mystery, I think if you want the full experience and to understand some of the little nuances, then you should probably start at the beginning. I enjoyed this mystery so much. I loved how it wasn’t a ‘fresh’ murder that kicked off the plot but rather a decades old skull that ropes readers in and makes them wonder who did it and why. I had a great time trying to solve everything and figure out motives and suspects. Jules is a fun likeable character who is very real and relatable. As with the previous book that I read in this series, I feel like I need a sugar detox after reading all the delicious pastry items I’m thankful that I am just reading about them but at the same time I am desperately needing the recipes to all the food because they sound so good! If you love a well crafted mystery with an established author, then look no further. I have been impressed with Alexander’s books across the board and this series i a particular favorite!